A healthy top of the mountain china green tea. Harvested from our top of the mountain tea garden, this tea is rich in flavour. It has a pleasant mellow taste and golden yellow colour. Top of the mountain teas are particularly healthy as they are especially rich in antioxidants. Our special harvesting methods aim to ensure that we retain as many as possible of the natural health properties of the fresh tea leaf. Green Tea*F (66%), dandelion root* (10%), milk thistle* (10%), peppermint leaf*, licorice*, ginger*, fennel seeds*, natural orange flavour* and natural lemon flavour*.Suitable for vegetarians and vegans. 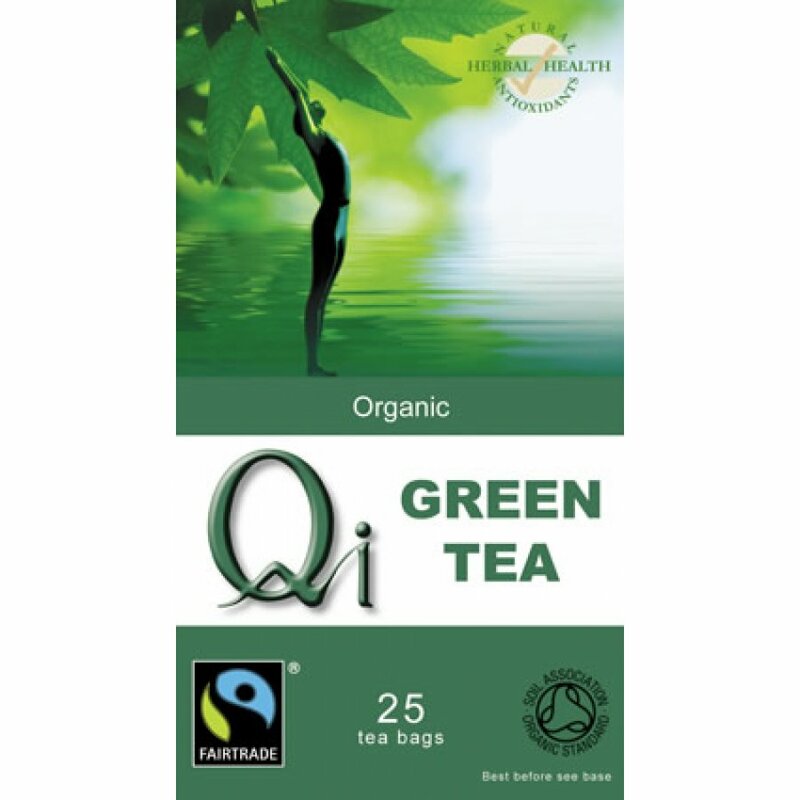 The QI Organic Green Tea x 25 bags product ethics are indicated below. To learn more about these product ethics and to see related products, follow the links below. 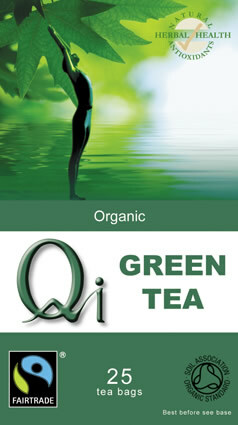 There are currently no questions to display about QI Organic Green Tea x 25 bags.